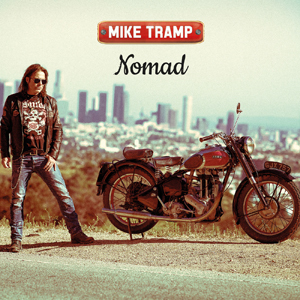 "Give It All You Got" is the first official radio single and video from Mike Tramp's upcoming album, Nomad. This summer Mike was back in Copenhagen where the video for "Give It All You Got" was filmed and edited. Tramp has this to say about the production: “For someone who was a big part of the MTV video generation of the 80's where videos became short movies, record companies spent big cash on production and the artist's motto was "we want it bigger and better than the other bands", I can't express how gratifying it is to be able to do my new video, spanning across two evenings and with just one other person involved, who in this case wears both the cameraman and director hat. Yes, it might be late in my career, but I finally feel that I recognize and identify with the person on the other side of the camera, I am finally me, and that’s what it's all about..."
Check out the video for "Give It All You Got" on KNAC.COM right HERE. For almost a half decade, Mike Tramp (WHITE LION) has been on a worldwide journey, touring and living as a modern life nomad, in his quest for personal and artistic freedom and staying true to the idea of the rock n roll troubadour. Tramp has just completed his third solo tour of the US in three years. Playing 50 shows on each tour, traveling all by himself exploring the American continent from coast to coast like never before. A journey of true dedication, making him unique in danish rock history. With Nomad, Tramp completes what he calls his trilogy on his journey to show who he is and where he stands. The album makes the final step on the ladder he started climbing (with Cobblestone Street), this time with a full band album, from first to last song. Tramp: "Without the no compromise on Cobblestone Street and Museum, I would never have found my way home to Nomad. Each previous album gave me the freedom to follow the songs wherever they wanted to go, and with Nomad my vision was clear as a bell, once again I just had to be who I am." Nomad will the released on August 28th worldwide via Target Records.